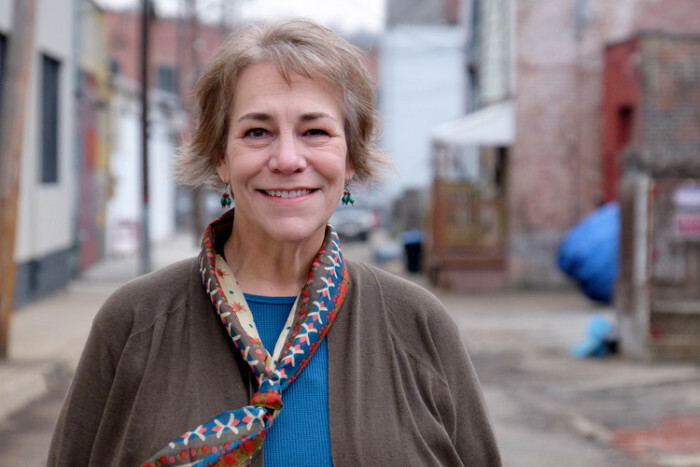 She’s working on it and along with the four others profiled here, helping Pittsburgh become a more joyful city in myriad ways. There are lots more people we could name and your suggestions are welcome, as always. It’s March, 2011. Megan Yunn (in photo above) volunteering at a local after-school program, was helping 12-year-old Beverly with her homework. Discovering that Beverly never had a birthday party haunted Yunn and then eventually inspired her to start an organization that provides birthday celebrations for homeless kids. 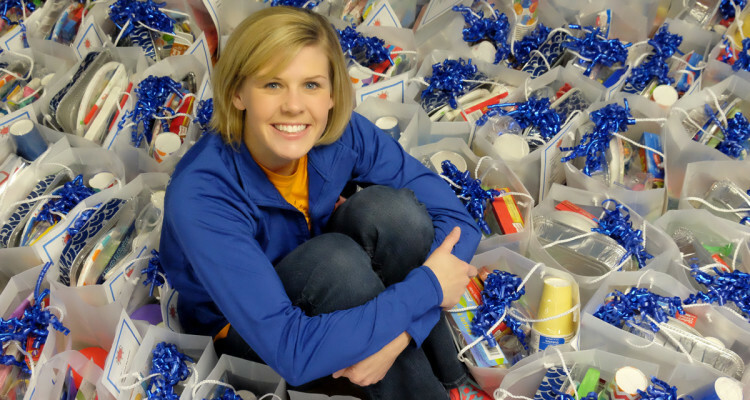 In four years, Yunn and her Beverly’s Birthdays, one of eight similarly themed organizations in the country, have partnered with 30 agencies in six counties to provide birthday parties—pizza, cake, presents, the works—for some 1,000 children. “So many of these children go without the special milestones that most people take for granted. To show these kids that they’re loved and important is the greatest gift of all. Want to help? Go here to contribute or volunteer and join An Evening of Birthday Cheer at the Children’s Museum of Pittsburgh—a fundraiser for Beverly’s Birthdays—on Thursday, April 30th. Susan Rademacher. Photo by Brian Cohen. First, it’s a given that nature—that gorgeous, glowing green world—calms us and makes us happier. Since 1998 the nonprofit Parks Conservancy has worked closely with the City of Pittsburgh to make us happier by restoring the city’s four regional parks: Frick, Highland, Riverview and Schenley. In addition to stewarding more than 1,700 acres, the Parks Conservancy has expanded into community and neighborhood parks throughout Pittsburgh, including Schenley Plaza, Mellon Square, Mellon Park, Frick Environmental Center and others. “Parks are also the most democratic aspect of our society. They promote social interaction. They’re friendly places—greetings, hand waves, nods. You feel connected to other people in a positive way. “You also help yourself stay in the moment. It’s such a pleasure to immerse yourself in the parks’ sights and sounds and beauty. Being in the moment is the freest space where happiness enters. Lisa Scales of the Greater Pittsburgh Community Food Bank. Photo by Brian Cohen. The figures are a bit staggering, and the remedy has unintended benefits. Because helping other people makes the helpers happy. The nonprofit Greater Pittsburgh Community Food Bank, founded in 1980 and headquartered in Duquesne, serves the region’s most vulnerable populations. Partnering with local grocers, distribution companies, farmers and community organizations, GPCFB distributes food to more than 400 member agencies, including food pantries, soup kitchens, shelters, after-school programs and senior housing sites. Abetted by 13,400 volunteers, GPCFB serves more than 26 million pounds of food to some 360,000 clients across 11 counties. Scott Bricker of BikePGH. Photo by Brian Cohen. How can you not be happy on a bike? With nearly 100 miles of bike trails, bike lanes and river trails in the city alone, Pittsburgh is in the midst of a highly welcome and long overdue bicycling Renaissance. 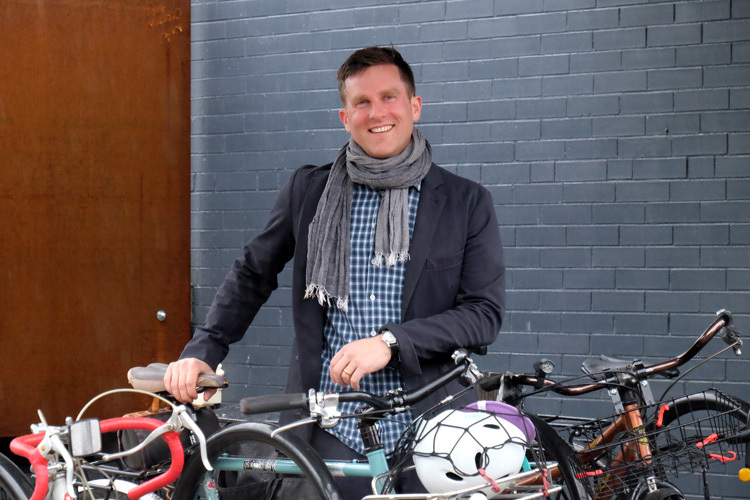 Helping shepherd this growing movement is Bike Pittsburgh. The region’s premier bicycling advocacy group since 2002, BikePGH works tirelessly not only to promote bike and pedestrian safety, but also to expand the opportunities for non-motorized regional transport. By 2020 BikePGH hopes not only to have bike trails within a mile of every Pittsburgher, but also to have every Pittsburgher realize the great benefits of walking and riding. His staff feels the same. “Cycling makes us happy,” says BikePGH Communications Manager Ngani Ndimbie, an inveterate biker herself. 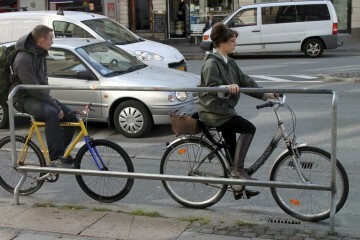 “Not only is biking good for our physical health, it also makes us happy. In general, depression, anxiety and stress are lower in physically healthy people. So cycling clearly boosts mental health. Candi Castleberry Singleton. Photo by Brian Cohen. 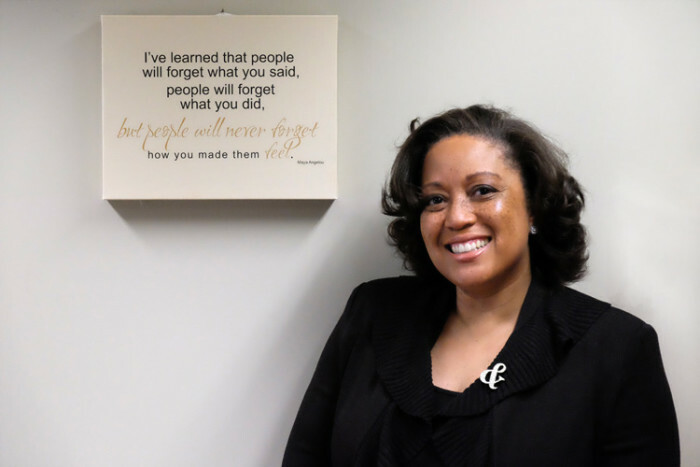 In 2008, as UPMC Chief Inclusion and Diversity Officer, Candi Castleberry Singleton launched the UPMC Center for Engagement and Inclusion. Her recent efforts include the Dignity & Respect Campaign, founded on 30 Tips that remind us to be mindful of how we treat others. 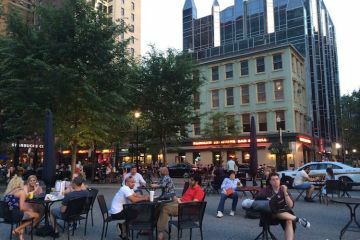 Lots of people in Pittsburgh are working to improve our quality of life and make us happier. Got someone you think merits mention? Comment below! Read about 5 people making Pittsburgh a healthier city and 5 people making Pittsburgh a more livable city for all .